Danielle "Dani" Britton is an analyst for a very secretive corporate security firm located in Virginia. She is brilliant at her job, but she has one bad habit: she takes her work home with her. This puts her at risk when a mysterious group of attackers launch a raid in which all but three of Dani's co-workers are killed, the building where she works is razed and Dani is forced to figure out why or become the plot's next victim. Before The Widow File, S.G. Redling's latest thriller, is over, Dani is shot in the leg, nearly drowns and is attacked by a professional assassin working for the bad guys. She is stalked in the nation's capital, two more of her co-workers are killed and a third is critically wounded. What's more, she finds herself tracking a deadly conspiracy that could embarrass the United States government. The Widow File is a solid suspense novel with treacherous characters, deadly situations and the requisite dose of paranoia. As a heroine, Dani is unique: she is diminutive in stature, timid by nature and lacks any expertise in unarmed combat or the use of weapons. Instead of shooting it out with the novel's villains or besting them through the use of martial arts, she is forced to use her brain to defeat them. In addition, she has to overcome her natural -- and quite believable -- tendency to panic and freeze when confronted by danger in order to maintain the cool head and sound judgment she needs to avoid death at the hands of her tormentors. 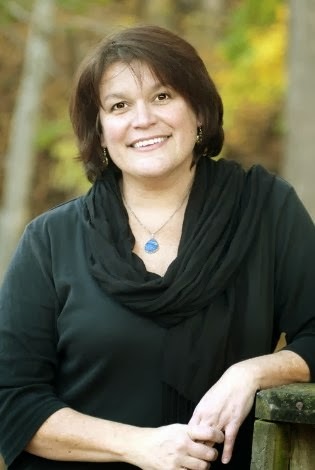 Sheila Redling, the book's author, hosts a morning radio program at a station in West Virginia and is the author of a variety of fictional works, including Damocles, a sci-fi novel, and Flowertown, a paranoid suspense story. 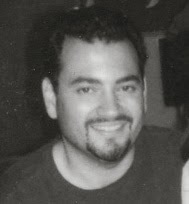 S.G. Redling, author of The Widow File (photo courtesy of her blog). In The Widow File she takes the unusual step of writing from two points of view: that of Dani Britton and that of Tom, the professional assassin who has been assigned to stalk and kill her. The plot is complex -- unnecessarily so at times -- and Redling is inclined to inundate her readers with detail, some of which is not really necessary to move the story along. What makes the book work, however, is the interaction between Dani and Tom -- a cat and mouse relationship in which the victim ends up tormenting her pursuer as much as she is tormented by him. A certain type of paranoid thriller wouldn't be complete without a secret villain to unmask at the denouement. 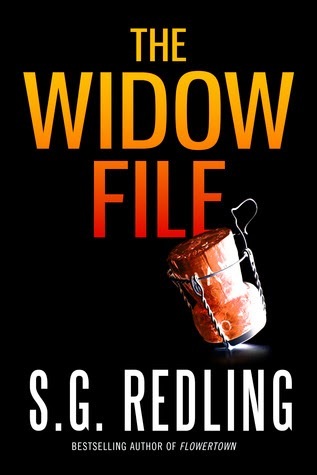 The Widow File has one, but the mastermind's identity is signaled early in the novel and most readers will be able to tell who is actually calling the shots for the bad guys long before the climax. This transparency is a major weakness of the story, as is the murky motive that sets the plot in motion in the first place: the villain reveals why all the murders and mayhem have occurred in a talky bit of exposition toward the end that some readers will find unsatisfying. Nevertheless, for the most part The Widow File keeps the reader's attention nicely and I found myself swept along by it sufficiently that I ended up finishing the novel at three in the morning. Despite a book's faults, if it keeps you reading, that is recommendation enough. The Widow File definitely does that -- and more. 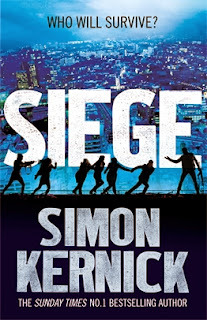 Siege, the latest Tina Boyd novel by British thriller writer Simon Kernick, is one of those high-action novels that grabs you from the first page, despite its many flaws. "They killed her as soon as she opened the front door." That's the novel's one-sentence intro. How could a serious suspense fiction fan fail to read on? The fundamental structure of the story is sound and the plot is as tight and well-constructed as that first sentence. Best of all, the handful of major characters that the story is built around are believable and sympathetic. But the novel has problems, chiefly poorly developed secondary characters and villains whose evil is not sufficiently explained in the book. In a number of cases, the villains are merely stick figures that have been clumsily inserted into the text to either move a particular plot point or be killed. Here's the basic situation: a group of apparent Middle Eastern terrorists take over a large London hotel in a bloody attack that leaves a number of people dead for no apparent reason other than to convince us the villains are scum. Superficially, at least, the siege is a hostage-taking operation; police are summoned, a safety zone cleared, a command van put in place and a negotiator brought in to contact the baddies and find out what they want. Bombs are rigged to go off at a certain time and a deadline is set by the armed attackers -- all of whom are code-named for animals. The confrontation initially plays out as a race by the authorities to save the maximum number of innocent people while giving the terrorists nothing of any substance. Which is another way of saying, up to this point, Siege is a standard barricaded suspect nail-biter. But beneath the surface, a completely different game is being played: "Fox," one of the leaders of the siege, is an ex-commando from England that is running an intelligence mission from inside the armed takeover. 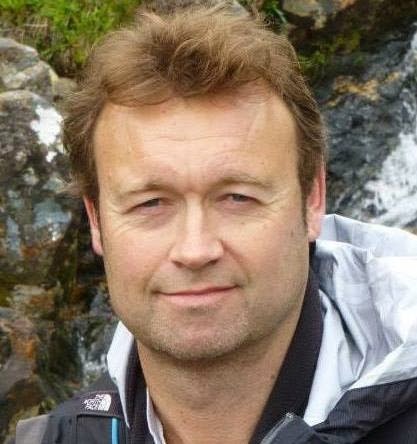 The real objective of the siege, it turns out, is to create a noisy and bloody distraction so the terrorists can grab Michael Prior, a British MI6 officer who is at the hotel for an assignation with his lover, and force him to turn over the name of a highly placed British mole inside the Chinese security services. A series of complications ensue, not the least of which is the fact that a former British military officer is trapped inside with the others and he has just killed three men in one of the hotel's luxury suites. The officer -- who is referred to simply as "Scope" -- begins to eliminate the terrorists one by one while Fox struggles to maintain control over his hostages and his band of killers. Meanwhile, commandos from the British Special Air Services get ready to launch an armed rescue effort before the bombs go off. Scope, we eventually learn, is not some garden-variety psycho who accidentally found himself locked in a hotel full of terrorists and their victims; he turns out to be a well-defined character who had good reason to murder the three guests in the suite upstairs. 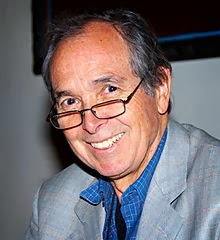 Other substantial characters in the novel include Elena Serenko, a middle manager at the hotel; a guest, Abby Levinson, whose Type Two diabetes creates yet another complication in the plot; and Deputy Assistant Commissioner Arley Dale, the police woman in charge of operations at the scene. The novel's real problem is its villains: some are simply caricatures, including Cat, a female Islamic extremist who seems to be driven solely by her hormones, and Wolf, a cowardly terrorist commander with a greasy pock-marked face. Some members of the siege team -- including Cat's murderously fanatic younger brother, a Scandinavian ex-soldier who has been hired to handle the explosives, and the young man assigned to transport a suicide bomb -- are cardboard cutouts whose only real purpose in the story is to die violently, providing the action needed to hold reader interest. Without exception, the terrorists seem to be morons; this, by itself, demonstrates that the only reason they appear in the book is to be riddled with gunfire at opportune moments or punctured with sharp-edged weapons. 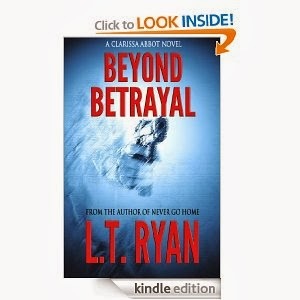 As for Tina Boyd, one of Kernick's most compelling creations and the star of her own series of thrillers, she barely makes an appearance in this book. Her role is distinctly tertiary and Kernick admits he had originally intended her part in the narrative to be played by a male character that hasn't appeared in his earlier books. To my mind, that probably would have been a better way to proceed. As it is, Boyd may add some name value to this book for her die-hard fans, but she has so little to do here and she does it in such a lackluster way, it would have been better to leave her out entirely. It occurs to me that this is one of those novels that could have been vastly improved if it had simply been expanded by roughly another fifty pages. That would have given Kernick the space necessary to pump his two-dimensional characters into real people. In a flashback, for example, we could have learned how Wolf was tapped to lead a major terrorist operation inside Great Britain, or why he would even want to. Kernick might have explained how Cat was drawn to the use of violence as a political tool and what caused her hatred of the West. Characters must have reasons for acting the way they do in a book, yet we really have no idea what compels this pair. It would have been nice to have at least some insight into what they thought they were going to accomplish at the hotel. As it stands, the only villain whose motivation is made remotely clear is Fox, the ex-soldier who expects to be paid five million for masterminding the hotel's takeover. Let me make myself completely clear: the things that Kernick does well in this thriller he does very well, indeed. You keep turning its pages because you sincerely want to know what happens to Dale, Levinson, Serenko and Scope. They are fully-rounded characters, full of life and intended to be sympathetic to the reader. Unfortunately, his first rate effort on the plot and some of the main characters is undermined by the poor quality of his evil-doers. If you decide to give Siege a shot, let the complex story and the sympathetic main characters pull you along. Don't spend too much time thinking about how much better the book could have been with a little tweaking. It's too late for that, now.